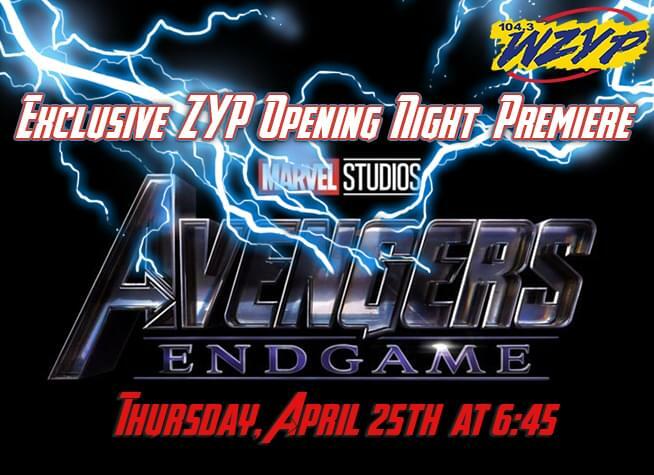 Win Tickets To The ZYP EXCLUSIVE Opening Night Premiere Of “Avengers: Endgame” – Thursday, April 25th! A story so epic, its taken 22 films and over 10 years to get us here….but it all ends with “Avengers: Endgame, and you can SEE IT FIRST WITH ZYP! 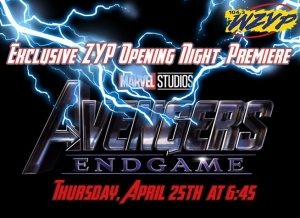 We have your tickets to the EXCLUSIVE ZYP premiere of “Avengers Endgame” – Thursday April 25th at the Touchstar Madison Square 12 Theaters in Huntsville, with a special screening time of 6:45pm! Listen for your chance to win your tickets with ZYP….and listen for when and where you can find us on the streets across the Tennessee Valley for even more chances to win!